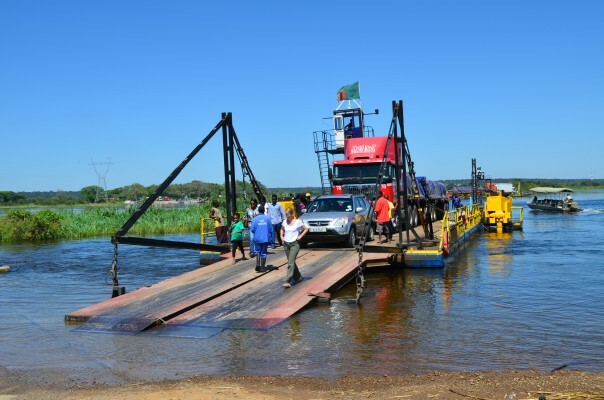 The construction of the US$ 248-million Kazungula Bridge will infinitely improve the quality of life for the thousands of people who are currently reliant on a ferry to travel to and from Zambia and Botswana. “Schoolchildren and breadwinners are forced to wait a minimum of four hours to get across the bridge, but with the new bridge being developed, this would drastically improve access to and from the both countries,” said GIBB’s Director: Electrical Engineering, Dr Willem Sprong. 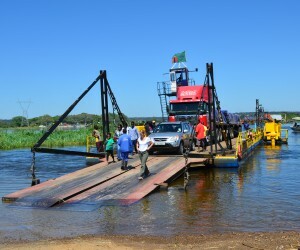 The Kazungula Bridge is a pact between Botswana and Zambia, a bilateral trade tie. The bridge would be instrumental in aiding Botswana and Zambia to work together, increase trade and assist citizens work in either country without work permits. The project will see leading South African consulting engineering company, GIBB, earn at least R40-million through a joint venture with Nippon Koei, managing the review of the pre-construction phase and detailed designs, and ultimately, the construction. According to Dr Sprong, the Kazungula Bridge is a 960metre bridge to be built over the next five years. Construction is envisioned to begin in March 2014 with completion expected for early 2018. This new bridge will accommodate both road and rail. “We are responsible for the design review, tender documentation and supervision of the construction of the Kazungula Bridge project,” said Sprong. He added that the bridge will be unique in that it would consist of two one-stop border posts on either side of the bridge, which will prevent queues by motorists on the bridge itself. Other players in the JV working on the project include Bothagka Burrow Botswana, CPP Botswana and Zulu Burrow Development Consultants.